The 40 days of a thief came to an end for a p.rostitute in Nairobi after she was nabbed trying to escape with her client’s goods. 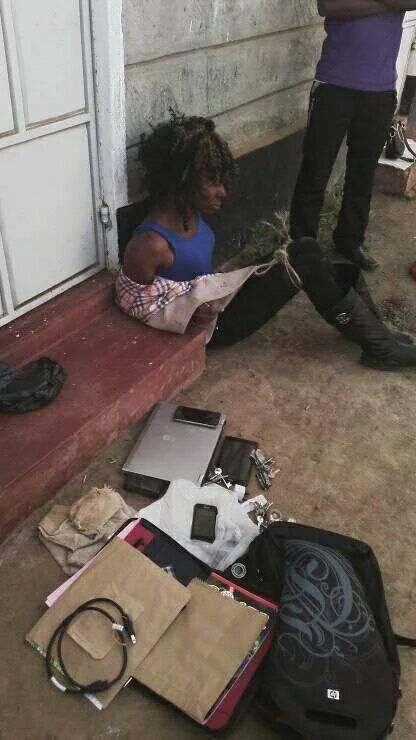 The s*x worker was nabbed by neighbours while in possession of electronic goods and documents belonging to a Kenyatta University student. The neighbors tied her up with a rope as they waited for police to arrive. According to reports, the s*x worker had spiked her customer’s drink during the romp rendering him unconscious. She was later arrested by police officers.